I can't stop buying faux fur. Whether it's coats or scarves I just keep falling in love and buying more and I'm genuinely concerned my wardrobe is going to break it's so full. But look how cosy and cute this coat is! It's the warmest, snug coat I've ever owned and I had to get it in a bigger size because it's all there was, but that just means it's even cosier so I'm happy with that. As much as I love the burgundy fur coat I got recently, I think this one is much better suited for me because of how versatile it is. 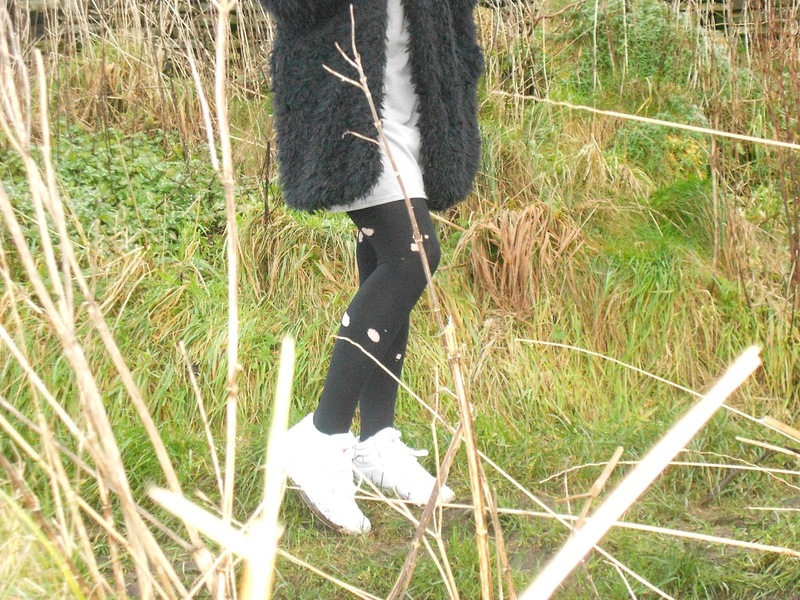 Being plain black it will go with virtually anything in my wardrobe and makes for the most fashionable throw-on coat! It's not overly thick, meaning it's not at all rigid and is super comfy to wear and it has a nice cosy collar and big pockets to keep my hands warm. There isn't anything not to love about it? Although, as I mentioned, it is great to go with most of my wardrobe, because of the length of it I think it looks perfect with dresses/skirts. 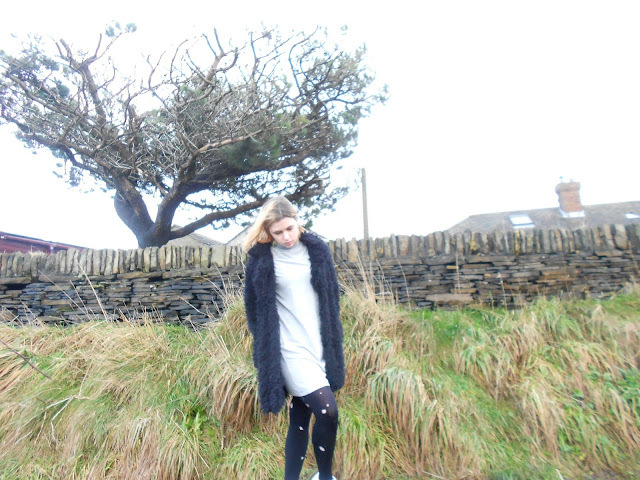 I went for this polo neck dress which is my ideal winter dress and paired it up with some distressed tights and trainers to keep the look uber casual. Are you a faux fur lover too?